Nearly half of all Americans have one of the three key risk factors of heart disease: high blood pressure, high LDL cholesterol, and smoking. Too many people make poor lifestyle choices every day that negatively affect their heart. Poor diet, excessive alcohol intake, and physical inactivity are just a few things that can do permanent damage. It’s easy to forget to implement the basic ways to take care of our hearts, but it’s one of the most important things to remember. 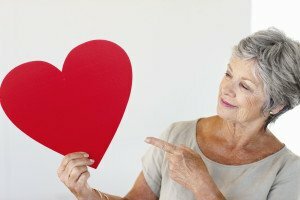 Go back to the basics and protect your heart with these tips provided by Hired Hands Homecare. Avoid tobacco: If you smoke; quit. If someone in the household smokes, he or she should be encouraged to quit. It’s tough, but it’s tougher to recover from a heart attack or stroke or to live with chronic heart disease. Be more active: Be physically active every day. Research has shown that getting at least 30 minutes of physical activity on 5 or more days of the week can help lower blood pressure, lower cholesterol and keep weight at a healthy level. Choose good nutrition: A healthy diet is one of the best weapons to fight cardiovascular disease. The food eaten (and the amount) can affect other controllable risk factors such as cholesterol, diabetes, blood pressure and obesity. Prepare heart-healthy meals that are low in fat and cholesterol and rich in vitamins, minerals and fiber. Hired Hands Homecare is there to help seniors make healthy heart choices. Our exceptional Home Support Service Coordinators are there to help with meal planning, shopping, and exercise among many other in home care services. These quality, affordable homecare services are available in Marin, Sonoma, and Napa counties, and the Tri Valley. We know finding the right care for yourself or your loved one is an important decision. Our family-owned and operated company has been caring for seniors for over 20 years, and we work hard to be the Best of Homecare in the area. To learn more about why Hired Hands Homecare is the right choice for you or your loved ones, or to set up a free care consultation, contact us today online or at (866) 940-4343.